The front walkway of the Rhine contains bricks immortalizing numerous luminaries in the field of parapsychology and benefactors who have supported the Rhine through the years. 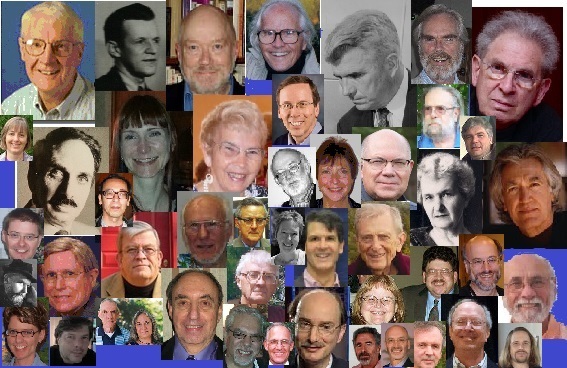 These names are a who's who of consciousness research through the years including Russell Targ, Charles Tart, J.B. and Louisa Rhine, Carl Jung, and numerous other people who contributed to the development of the scientific study of human consciousness. Despite this long list of names, there are quite a few names that are missing from this list. Would you like to help to complete our walkway with the names of some of the most important leaders in the field of parapsychology? By making an individual contribution to sponsor a brick, you will not only have the opportunity to support the Rhine and honor an important leader in the field, but you will also have a brick inscribed with your own name added to the Rhine Walk of Fame as a supporter of consciousness research at the Rhine. For a donation of $250 or more, we will recongize your contribution with a brick engraved with your name, the name of someone you wish to honor, or even a group. Click here for a complete list of names of leaders who do not currently have bricks on the Rhine Walk of Fame. Select one, and help us to complete our walkway by recognizing a important leader and adding your name to the walkway as well. Make your donation now by clicking our donation page and selecting the Rhine Brick as your premium gift. You will be contacted by somebody from the Rhine to arrange for the wording for the brick. You can have up to 3 lines of 19 characters or less (including spaces and punctuation). The Rhine Research Center is 501(c)(3) non-profit organization that is primarily funded through memberships and donations. All donations are tax deductible and will be used to conduct research, provide education, or support the daily operations of the center.